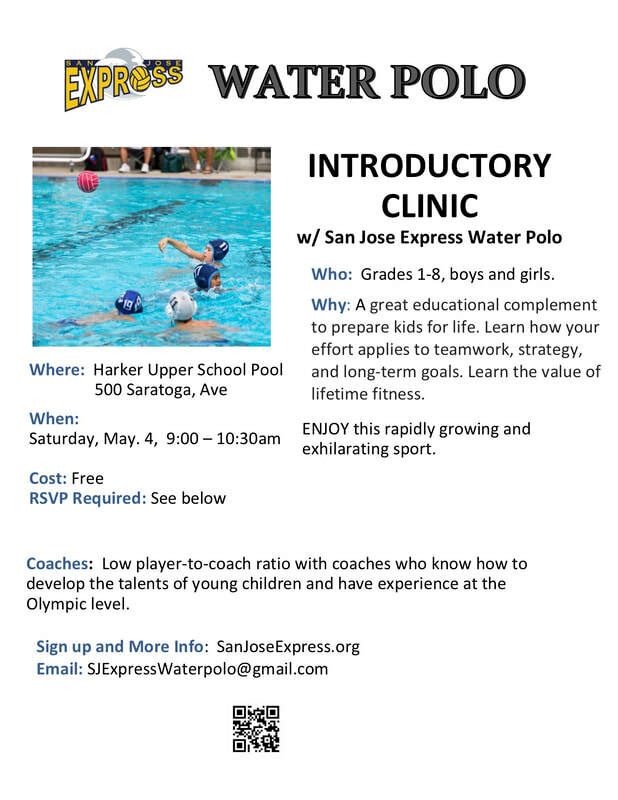 05/04/2019 : For more information, please contact us at sjexpresswaterpolo@gmail.com! Who: Grades 1 - 8, boys and girls. Please describe swimming background and/or ball sport experience.